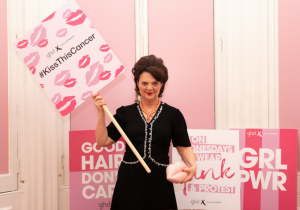 We were thrilled to attend ghd’s pink party last week as part of their annual campaign to raise money for Breast Cancer Now. 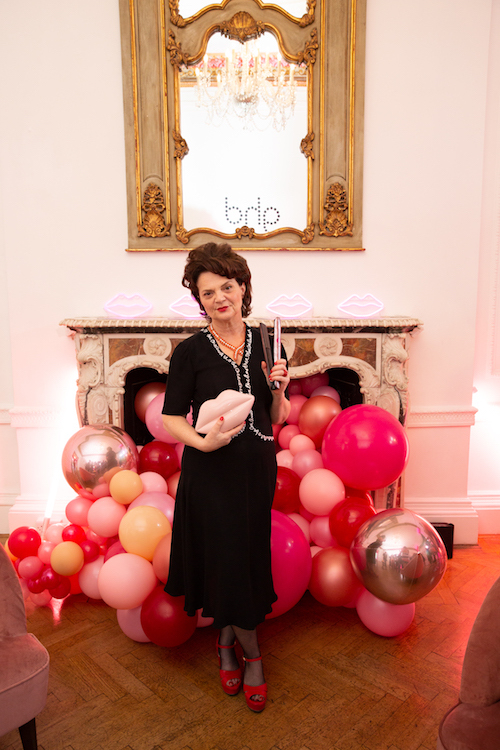 This year, the brand teamed up with designer Lulu Guinness to create a styler and hairdryer in Lulu’s trademark lip print. The party, which was hosted at London’s One Belgravia, was the most Instagram-able event. Decked out in pink there was a ghd styling station, OPI nail bar, protest-themed photobooth and freshly made-before-your-eyes ice cream. Heaven! We even spotted a few celebrities in the mix from Maya Jama to Montana Brown plus ghd ambassadors Zoe Irwin and Amber Reed. Guests were treated to pink drinks and mini blow-dries designed to beat the London heat. 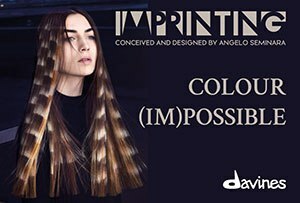 But, apart from all the pink party fun, ghd come together for a special cause. Over the last 14 years they’ve raised £10 million for breast cancer charities through their limited edition pink ranges. Amazing! They told us that for 2018 they wanted to go bigger and better by donating not only £10 from each sale of the special edition tools but an extra £1 for every selfie taken and tagged with #kissthiscancer between now and October.